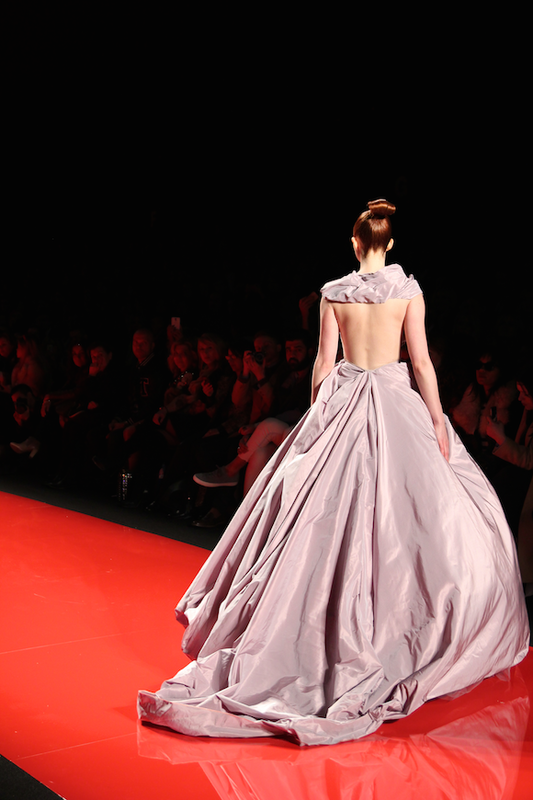 Last week Toronto dazzled under the bright lights and frenetic bustle at World MasterCard Fashion Week. 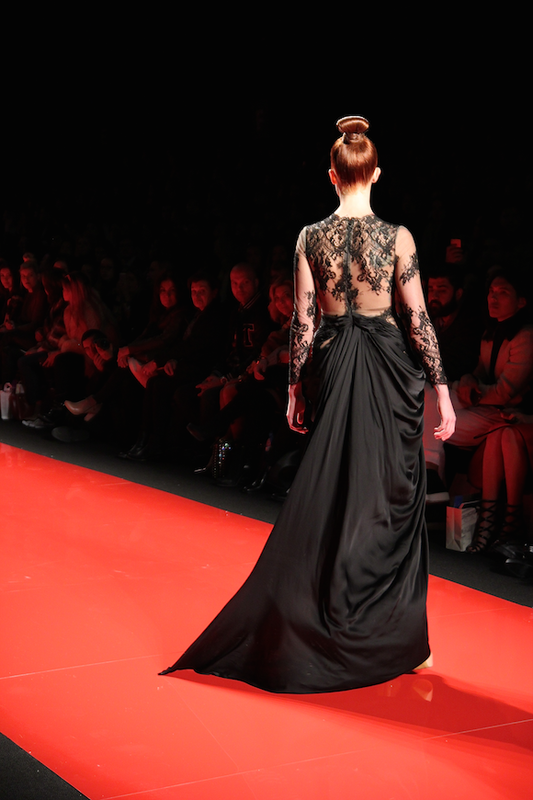 I attended several shows where prominent Canadian designers unveiled their Fall/Winter 2015 collections. 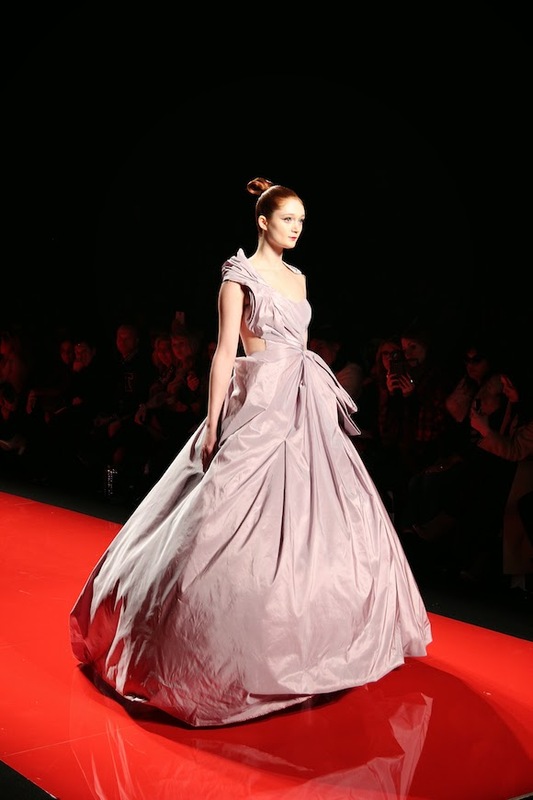 One such collection belonged to the final one, Mikael D, whose sumptuous dresses stunned from every angle. Inspired by the theme of Mystical China, the collection boasted the most incredibly intricate details, with beautiful appliqués and elaborate lace brimming with flowers of Chinese origin. But the wow moment of the night was undoubtedly my favourite look -- a sublime bridal gown that hushed the entire room and left me instantly speechless. 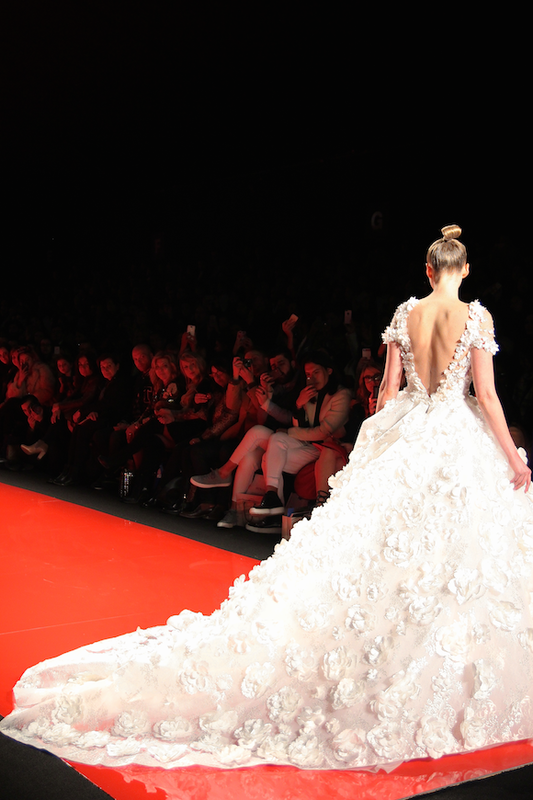 Floral appliqués dotted the entire princess ball gown, with a gorgeous open v back. Swishing effortlessly behind was a breathtaking train, leaving a trail of coveted bliss (and a pool of my drool). It was simply magical and made for the perfect ending to a show that reveled in such splendor.